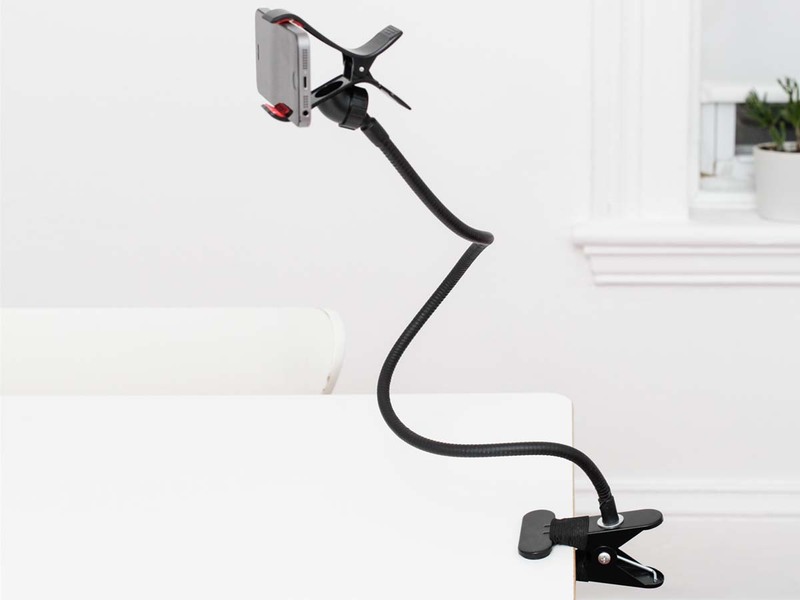 If you enjoy browsing pictures or watching videos on your smartphone, this is the gadget for you! Attach the holder to the edge of the table, to a cabinet or to any other object of up to 3cm thick. Then place your phone in the holder, and move it into any position you want. 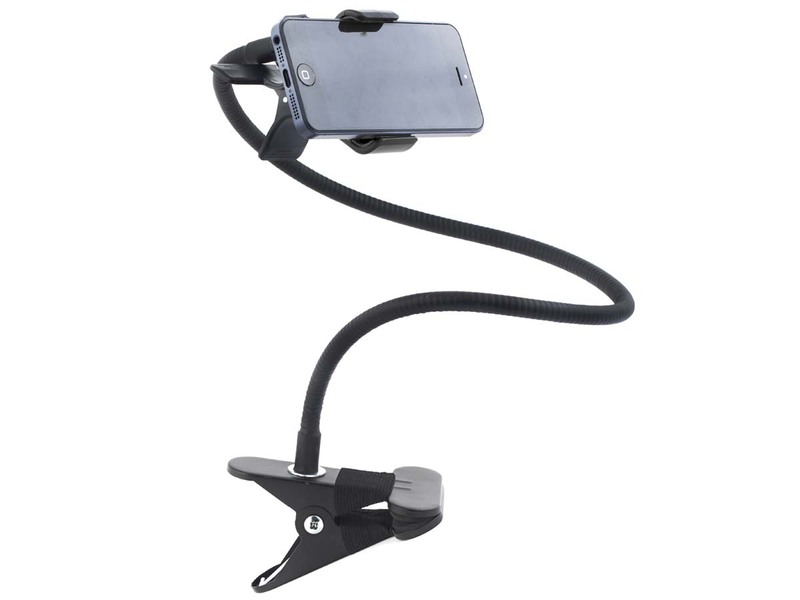 The holder's neck isn't just very durable, it's flexible as well. On top of that, you can twist the holder a full 360 degrees. 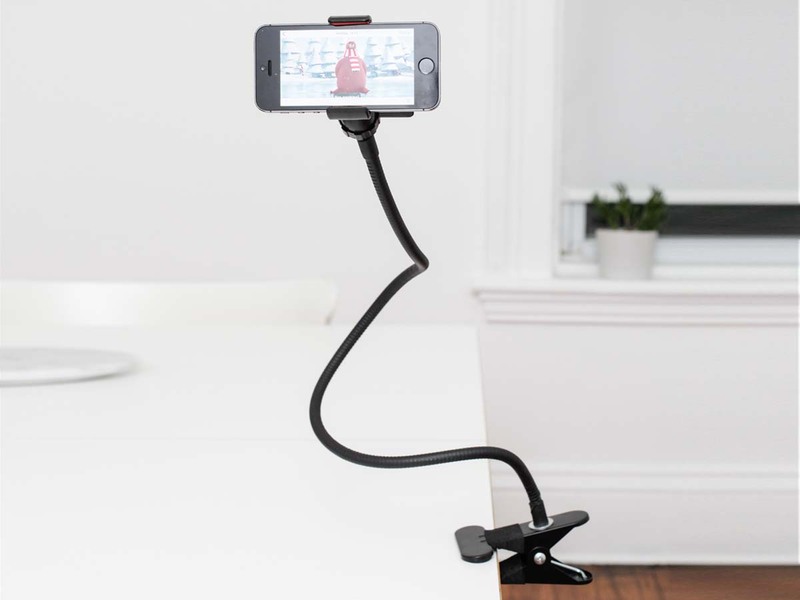 It's the perfect gadget for taking selfies, looking at pictures while sitting at the table, or to use while you're cooking to consult an online recipe.